Ayam Penyet (smashed fried chicken) is a popular Indonesian dish consisting of fried chicken smashed to make it softer, hot rice, cucumbers, fried tofu and tempeh. Plus, it serves with special recipe of spicy sambal, to complement the dish. To uphold the tradition in Malaysia, Ayam Penyet Express is established and known as one of the top restaurants in Klang Valley serving the popular dish along with other authentic Indonesian delicacies. 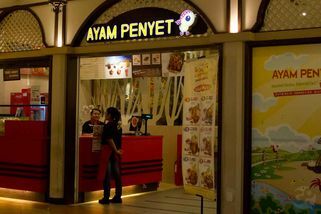 Known to be one of the main dining attractions in Sunway Pyramid, Ayam Penyet Express delivers a diverse of Penyet delicacies such as Udang Penyet (smashed prawn), Bawal Penyet (smashed pomfret ), Iga Penyet (smashed ribs), Empal Penyet ( smashed beef) and Ikan Keli Penyet (smashed catfish). With these elegance choices, you now have a selection to choose from every day of the week. 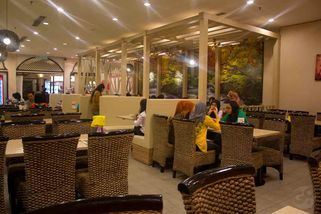 Available to serve for more than 50 people at one time, the authentic Indonesian restaurant is a perfect place for families lunches and casual meetings during the weekends.